Indeterminate. Potato Leaf. Another great one from our friend, Bill Jeffers. 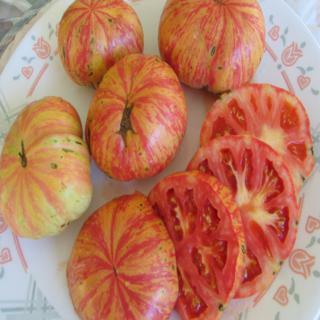 Fruits are about six to 10 ounces and have rose and creamy yellow stripes.